The Fort Wayne United F.C. 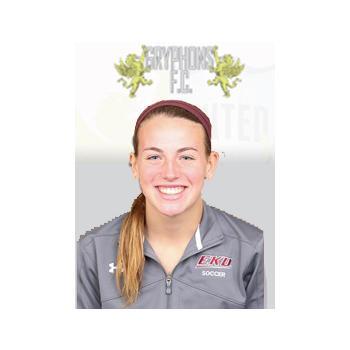 Gryphons have added three more players! Alexa Siegel, Emily Gunsett and Lorah Pund have signed to play for the 2017 season. Alexa Siegel is a student and soccer athlete at the University of Saint Francis in Fort Wayne, Indiana. As a freshman (2016) she appeared and started in all 20 games in her freshman campaign as Center Back. She was also selected as All-Crossroads League Honorable Mention. Alexa graduated from Bishop Dwenger High School where she played varsity soccer all four years. She had several accolades while at Dwenger including All State selection and All District. Siegel was All-SAC first team as a junior and senior, second team as a sophomore. Alexa also played club soccer for the Ft. Wayne United 98 Girls Academy team that went undefeated during the 2015 travel season and won the 2015 Indiana State Cup. 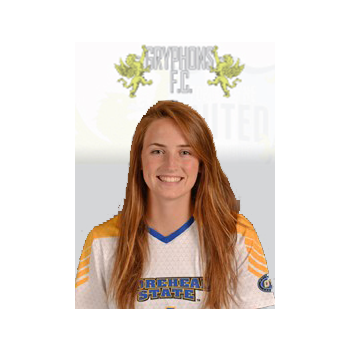 Emily Gunsett plays soccer and attends Morehead State University. As a freshman (2016) she appeared in 18 matches, starting eight. Emily played 905 minutes on the year with a career-high 110 minutes played against Tennessee Tech on 10/2/16. In her time at Bellmont High School in Decatur, Indiana she led her team to two sectional championships in her junior and senior campaigns. She was named Second-Team All-Conference her junior year and then named First Team All-Conference her senior season. In her time at Ft. Wayne United, Gunsett played a pivotal role in winning the Indiana State Cup Championship in her junior season. As a member of the high school track team, she was a three-time state qualifier and a three-time Track sectional champion. Emily was named Second-Team All-Conference in track and she was also a two-time sectional champion in cross country, as well as a two-time State Qualifier. Lorah Pund is a student and soccer athlete at Eastern Kentucky University. 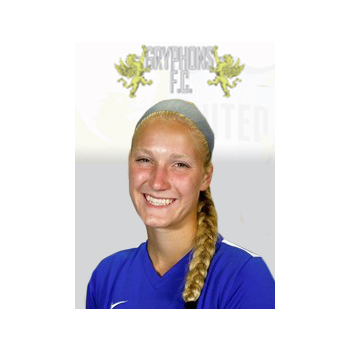 Lorah is a standout goalkeeper that graduated from Carroll High School in Fort Wayne. Lorah recorded 16 shutouts as a senior and 47 shutouts during her stellar career at Carroll High School ... a two-time third team all-state selection, a two-time first team all-district selection and a three-time first team all-conference selection at Carroll High ... Lorah played club soccer for Fort Wayne United, with whom she went undefeated during the 2015 travel season and won the 2015 Indiana State Cup.